The Authentic T-shirt Company® (a Sanmar Canada Label) have been making t-shirts and hoodies comparable to Gildan products for over 15 years. Adding to their collection, the new Everyday Cotton t-shirts have quality construction and fabric, making them a comfortable and reliable choice to brand your identity on team, event and band merchandise. Whether you need custom t-shirt printing for your store, tour, event or simply for staffing requirements, the classic Everyday Cotton T-shirt is the right choice to decorate with custom embroidery or screen printing of your logo and message on. 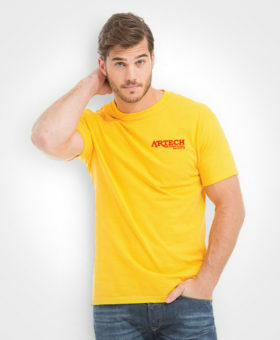 Artech Promotional Products can customize your t-shirt with multiple colours and locations to suit your needs. If you are looking for low runs for a special occasion or trial version of your design then we recommend contacting us about direct transfer heat press. This printing technique is also perfect solution to produce full colour images. 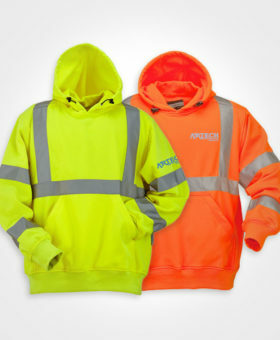 Stay Warm and Safe in this quality Sumaggo High Visibility Winter Parka complete with 3M Scotchlite reflective strips.